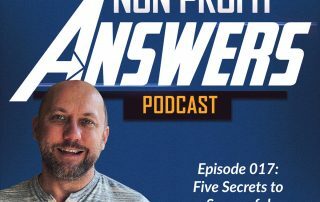 In this special episode, I reflect on the lessons I've learn over these years and share the five secrets successful fundraisers know. You'll learn how to demonstrate urgency, how to be more direct with your ask, a mistake you're likely making in how you talk to donors, a lesson on using facts to motivate donors, and key insights into showing gratitude. These lessons, learned over the course of raising tens of millions of dollars, will help propel you forward as a nonprofit fundraiser.